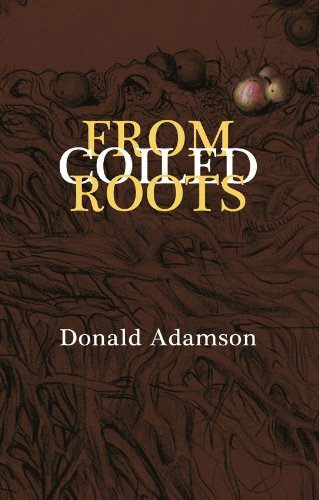 Donald Adamson is a Tampere-based Scottish poet. He has previously published two pamphlets and his translations from Finnish to English appeared in the anthology How To Address The Fog, published by Carcanet and the Scottish Poetry Library. 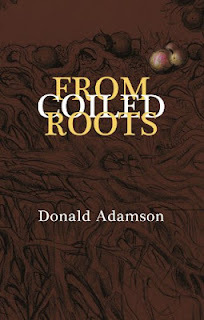 His full poetry collection, From Coiled Roots, was published this summer by Indigo Dreams Press. The collection as a whole is wide-ranging and eclectic, including a few set in childhood, some that consider aging, some with a historical background and some wonderful, understated love poems that show great sensitivity and delicacy in their use of language; `understated ardour´ is the phrase I came up with to describe the tone. I have added an example of one of the love poems below. There are poems set in Scotland and several set in Finland; some of these name Finnish places, but readers familiar with Finland will recognise a Finnish setting where it is not actually stated as such. There are several versions based on poems by the Finnish poet, Lassi Nummi. of a train drawing in. Words were new then, and eyes. and has several poems, including one from the new collection, and a link to the publisher´s website. and seen the green sword´s cutting edge. to Abri, El Khandaq, Khartoum.